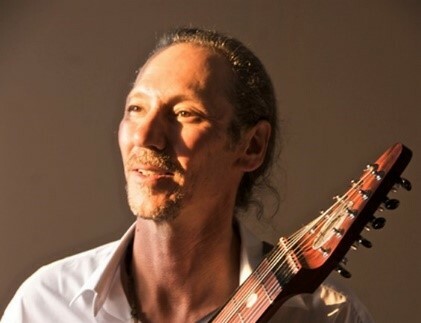 Dennis Allen is an award-winning filmmaker, songwriter, writer and storyteller. 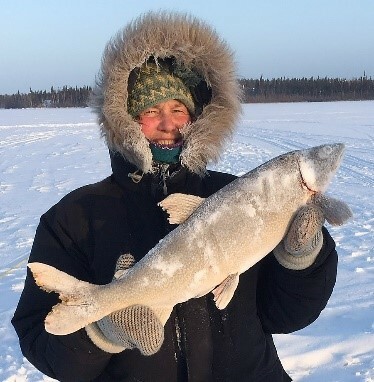 Originally from Inuvik, he apprentices as a storyteller under his father, legendary Inuvialuit raconteur Victor Allen. Currently Dennis Allen works for Corrections Canada as an Inuit Liaison officer at the Bowden Institution in Alberta. He continues to write for Tsaayaksat and What’s Up Yukon. Author of The Fox and My Boot, Lana de Bastiani was born and raised in Yellowknife, Northwest Territories. Ms. de Bastiani wrote this book as her final project for her Master’s degree in Special Education and it is based on a true story. This is her first children’s book and was developed in response to the need for familiar and relatable literature for children in northern Canada. 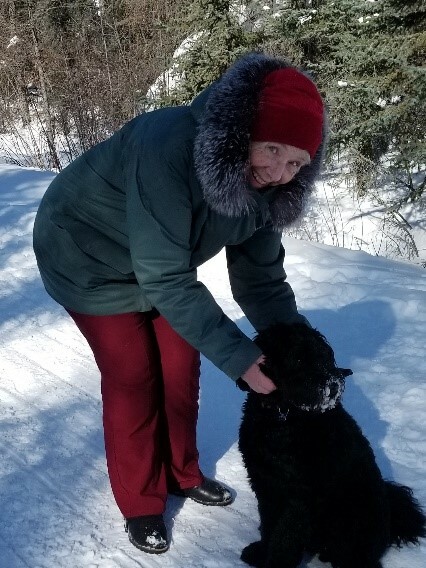 Ms. de Bastiani still lives in Yellowknife and skates on the pond behind her house – she just keeps a closer eye on her belongings. Billy-Ray Belcourt is from the Driftpile Cree Nation. 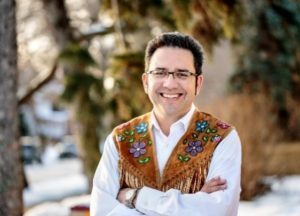 He is a PhD candidate and 2018 Pierre Elliott Trudeau Foundation Scholar at the University of Alberta. THIS WOUND IS A WORLD (Frontenac 2017) is his first book and it won the 2018 Canadian Griffin Poetry Prize. Andrea Bettger has experience playing classical, jazz and bluegrass styles, and experiments in the electric world of sounds on her instrument. She has become heavily involved in the Northern-fiddling scene. She has performed and recorded with countless artists including The Rheostatics and the Jerry Cans, and has opened the stage for Jimmy Rankin and Buffy St. Marie. Her musical efforts won her the honour of “Citizen of the Year” in 2007, and she represented the North as a fiddler at “NorthernScene” at the National Arts Centre in Ottawa in 2013. Andrea attended the Banff Centre for the Arts in 2016, and toured as the fiddler for the Jerry Cans in the summer of 2017. She performed at Yellowknife’s Folk on the Rocks in the summer of 2018, and the release of her first all original album got her a nomination for Instrumental Solo Artist of the Year by the Canadian Folk Music Awards in November of 2018. Her band performed at the CFMA Awards Ceremony. 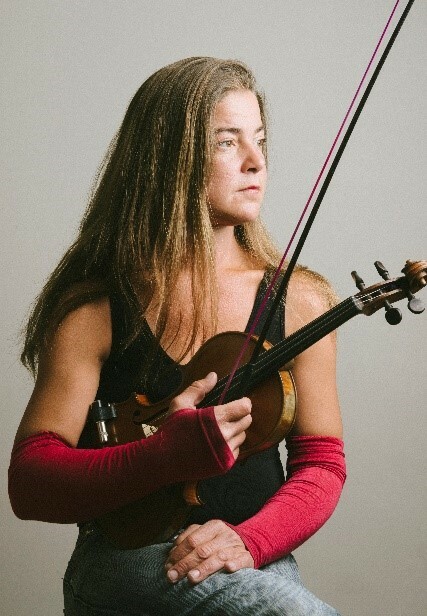 Andrea’s diverse musical background has led her to write music that is influenced by Northern Metis fiddling, and jazz, gypsy, and classical violin styles. The fusion of these approaches results in an exciting blend of toe-tapping material, complemented with meditative and heart-warming melodies. Before joining Transatlantic Literary Agency, Marilyn worked at her own literary agency and consultancy practice for seven years, where she helped launch the careers of début and prize-winning authors. She had previously worked at McClelland & Stewart for twelve years, most recently as Vice President, Director, Rights and Contracts. At M&S, she handled the international rights for many renowned authors, including Leonard Cohen, Alistair MacLeod, and Madeleine Thien. Marilyn is a member of the Law Society of Upper Canada, a graduate of Osgoode Hall Law School, and also holds a Bachelor of Arts from the University of Toronto in English Literature. She has guest-lectured at the publishing programs at Humber College, Ryerson University, Simon Fraser University, the University of British Columbia, and taught a course in the publishing program at Centennial College. 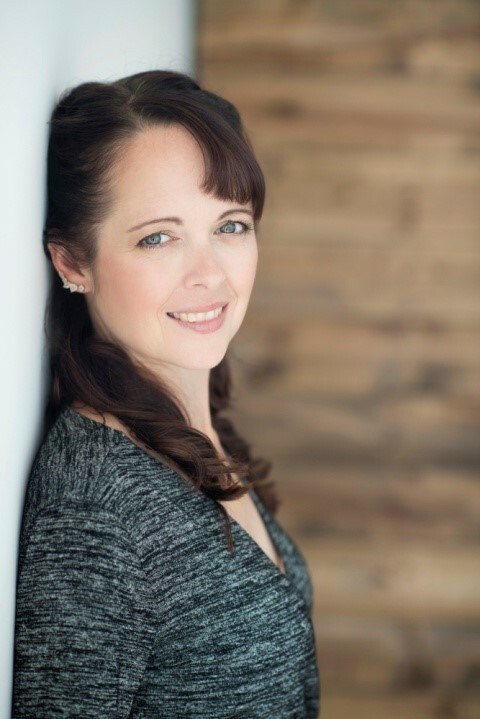 She has also mentored many publishers under the auspices of the Association of Canadian Publishers and the Canada Council, and has acted as a juror in literary competitions. She has authored several papers on copyright law; served as a founding executive of the recently-formed Professional Association of Canadian Literary Agents; and served for many years on the organizing committee for the International Visitors Program of Toronto’s International Festival of Authors. She is currently active in the preparations for Frankfurt 2020, the year Canada will be the featured country at the Frankfurt Bookfair. She also chairs the board of Canada’s dance magazine, The Dance Current, and is especially proud of her work with the St. John Ambulance Dog Therapy program. Bill Braden found his destiny as an ink-stained wretch printing the paper at the old News Of The North in 1968. He advanced (arguably) into reporting and photography for the paper and briefly with the Edmonton Journal. 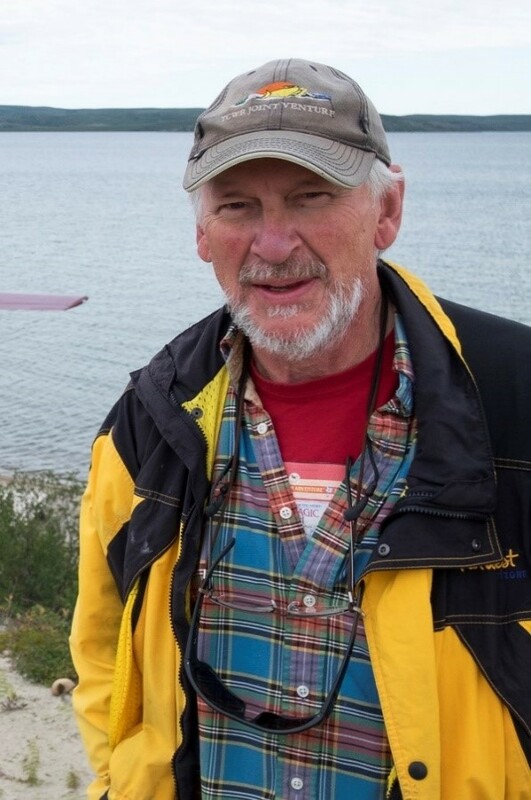 He was the first reporter for the Yellowknifer newspaper in 1972. Braden, took professional photography schooling and opened billbradenphoto in 2009, specializing in corporate/industrial photography and editorial magazine writing. He has produced, three books: On Good Ice, Bridging the Deh Cho, and The Air Tindi Story. One Good Ice was recently released in its third edition. He self-published Aurora UP! for the north’s growing aurora visitor industry in 2017. Braden is also active in Yellowknife tourism as an aurora tour guide and photo workshop leader. Braden is married to Valery (42 years and counting) and has two daughters and is recently utterly smitten with two grandchildren. 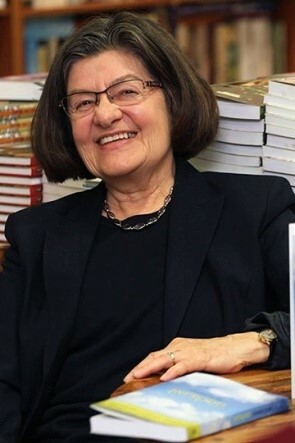 Sharon Butala is the award-winning and bestselling author of nineteen books of fiction and nonfiction, numerous essays and articles, some poetry and five produced plays. Her classic book The Perfection of the Morning was a #1 bestseller and a finalist for the Governor General’s Award. Her first-ever story collection, Queen of the Headaches, published by Coteau Books, was also a finalist for a Governor Gerneral’s Award. 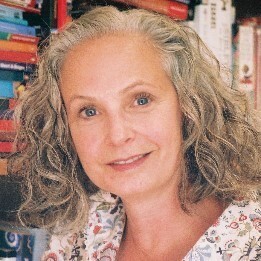 Her novel Wild Rose, also with Coteau, was shortlisted for the W.O. Mitchell Book Prize. 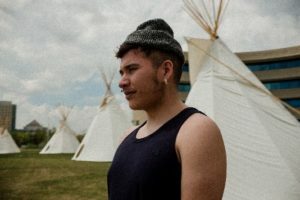 Butala is a recipient of the Marian Engel Award, the Saskatchewan Order of Merit, and the 2012 Cheryl and Henry Kloppenburg Award for Literary Excellence. In 2002 she became an Officer of the Order of Canada. Born and raised in Saskatchewan, she lived most of her life in that province, and now resides in Calgary, Alberta. 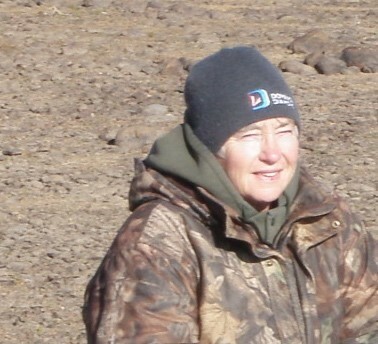 Patti-Kay Hamilton is the author of Trapline to Deadline: Trading a Skinning Knife for a CBC Microphone. From running a dog team alongside a pack of wolves to a report that halted shipment of contaminated scrap down Canada’s longest river; the collection of stories recounts thirty years of adventures with CBC North. In 2018, she assisted in the publication of Landslide, a book about a 1968 disaster in Fort Smith. In 2014, Hamilton’s The Hunter and the Swan beat out 1800 others to win Canada Writes. She was a finalist in the 2017 Alice Munro Festival of the Short Story for Corralled. Her work has been translated and published in Belgium and Canadian singing legend; Ian Tyson is adapting The Hunter and The Swan into song. Currently, she is in production of a children’s story based on an ancient family legend. In her spare time Hamilton is an enthusiastic traditional storyteller and encourages youth and elders to share their stories. Patti-Kay lives in Fort Smith. Fran Hurcomb is an NWT writer and photographer living in Yellowknife. She began by writing magazine articles in the early 1980’s and now has many published books on the shelves, including “One Lucky Fish” (Raven Rock), “Trapline to Finish Line” (Outcrop), “Going Places” (Orca Books) and “Old Town: A Pictorial History (Old Town Press). She is currently working on a history of commercial fishing on Great Slave Lake, due for release in 2020. 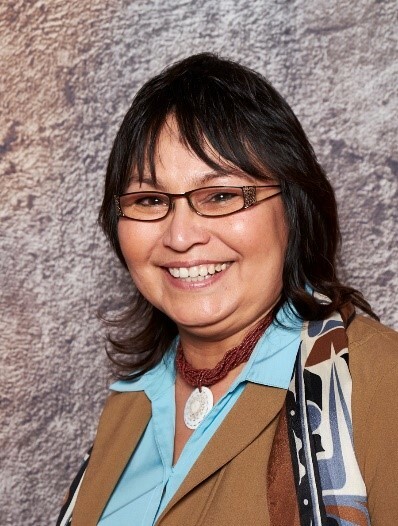 Catherine Lafferty is an Indigenous woman from Yellowknife, Northwest Territories. Catherine’s writing has been published in a number of national publications and she is mentored by Leanne Betasamosake Simpson and Richard Van Camp, two renowned Canadian authors. 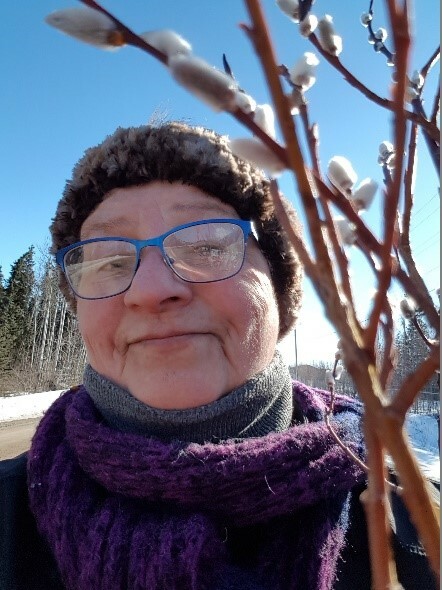 Catherine has recently released her first book entitled “Northern Wildflower” – a memoir that depicts her life growing up in the north and her family’s struggles with generational trauma and colonialism. Catherine has recently signed an additional contract to publish a fictional novel with Fernwood Publications/Roseway Imprint entitled “Land-WaterSky” which is set to be released in the fall of 2019. Antoine Mountain has been an artist and Indigenous activist for more than three decades. Originally from the northern Dene Nation of Radelie Koe (Fort Good Hope, NWT), Mountain is a residential school survivor who has taught in art schools, given workshops and had his art featured in numerous exhibits around the world, including the Canada Pavilion at World Expo 2005 in Japan. 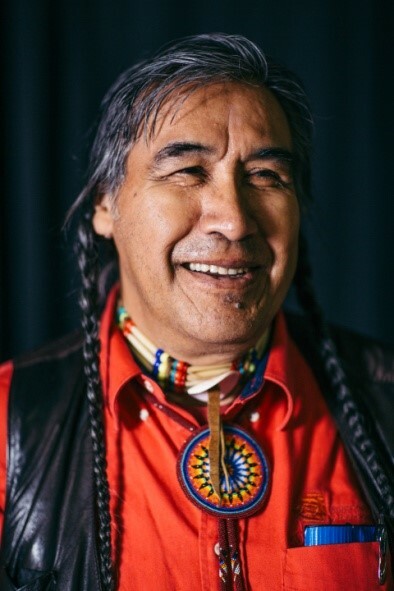 He has received many awards for his art, community activism, and athletic achievement—including the NWT Premier’s Award, the Queen’s Jubilee Commemorative Medal, the Tom Longboat Award—and was recently inducted in the NWT Sport Hall of Fame. 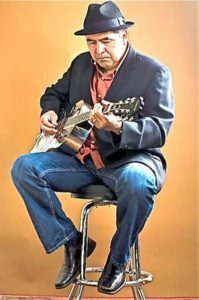 Mountain is a storyteller, poet, writer, artist, and a passionate supporter of reclaiming his Dene Nation’s culture in all its richness. He is currently completing a PhD in Indigenous Studies at Trent University in Peterborough, Ontario. Find out more at amountainarts.com. Allice Legat’s immersion in storytelling traditions started with her listening daily to her Grandpa Campbell playing his fiddle and telling stories of Scotland. As an adult, her research brought Tlingit and Dene stories to bear on her life. She claims hearing Tłı̨chǫ stories about whose land she lives on pushed her to experience her own ancestral place. She shares this relationship in her short story, ‘Travelling Back Through Stories’ published in the Edinburgh Review: more borealis (1998). Her book Walking the Land; Feeding the Fire (2012) tells of Tłı̨chǫ’s sophisticated epistemology encompassing storytelling and experience. Allice is currently playing with fables as a medium to share her thoughts on occurrences impacting our lives. ‘Crone and Ogre’ is part of the Fables of the 21st Century collection published by Banff Centre Press (2018). 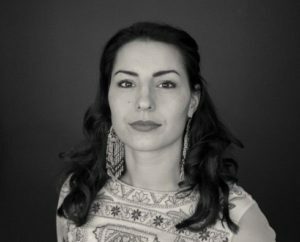 Allice, who says her stories grow from dreams just as often as from daily life, is an anthropologist and creative writer from Yellowknife, Northwest Territories. 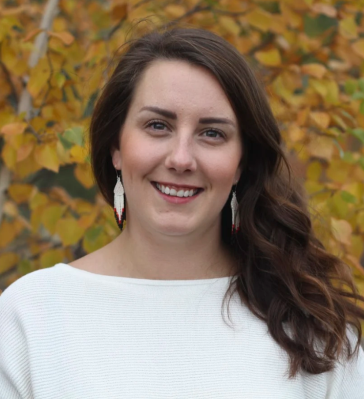 Beatrice Emily Lepine is a Cree writer from Hay River, NWT. She was raised in, and worked in her family’s commercial fishing operations on Great Slave Lake. She went onto a career in forestry that spanned 30 years. A retired Justice of the Peace, Beatrice continues her volunteer activities with the her church, and with other agencies. She is now retired and focuses on her mental and spiritual health through creating written reflections from her walks in the forests, that she posts on Facebook to a large following. Born in Dundas, ON, Lilith Thorn is a restless wanderer. Her first move was to St. Catharines where she earned a Theatre degree at Brock University. Despite her parents’ wish that she would return home and work at McDonalds after graduating, Lilith refused and instead moved to Toronto to give acting the ‘Old College Try.’ After years of sacrificing her other passions for the stage and an empty bank account, she put away those dreams to say “Yes” to a different adventure. This took her to Dublin, Ireland for a few years where she met, fell in love with, and married another Canadian who took her to the one place she said she’d never live: Yellowknife. After nearly a decade in Canada’s Great White North, Lilith looks forward to further adventures with her husband and two children, just about anywhere. Lilith Thorn is a pen name. 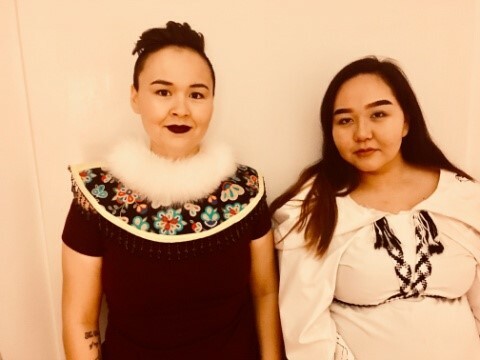 Tanya Roach and Anna Seagrave are traditional and contemporary throat singers living in Yellowknife. They are from Rankin Inlet and Cape Dorset, Nunavut. They have been throat singing together for over 5 years. They will be accompanied by Steve Griffith-Cochrane, violinist. W. D. Valgardson is an Icelandic Canadian writer. He taught creative writing at the University of Victoria for thirty years. He has won several awards, including the Books in Canada First Novel Award for Gentle Sinners (Oberon Press), 1980 and the Ethel Wilson Fiction Prize for The Girl With The Botticelli Face (Douglas and McIntyre, 1993). Along with numerous books of short stories (Bloodflowers, God Is Not A Fish Inspector, What Can’t Be Changed Shouldn’t Be Mourned, etc. ), he has had five children’s books published (Thor, Sarah and the People of Sand River, The Divorced Kid’s Club, etc.) and has had a dozen plays produced and a number of movies made from his fiction. His fiction has been widely translated. Since he retired from UVic, he has published What The Bear Said, a collection of Lake Winnipeg Folk Tales. His latest book is In Valhalla’s Shadows(D&M), a gothic murder mystery set in the Interlake of Manitoba. Karen Wright-Fraser is a member of the Gwich’in Nation – originally from Inuvik. She’s lived in Yellowknife for the past 33 years. She is married with 6 children and two beautiful grandchildren. As well as being trained as a facilitator and a life coach, Karen also works in the arts. One of her favorite past times is telling stories and legends and sharing aspects of her rich and beautiful culture. She has been a participant at the Great Northern Arts Festival where she received a people’s choice award for multimedia artist of the year in 2002. She has also attended Blachford Lake Lodge as a traditional storyteller and instructor. Karen has travelled to Japan, Scotland, Iceland, Washington, Germany and many places in Canada as a cultural. She will be attending Banff Centre for the Arts for Indigenous Storytelling and Spoken Word residency in March 2019.